His style is unique. It’s not realistic; nor is it overly cartoony. I wouldn’t say it’s like Steve Ditko, exactly, but it’s idiosyncratic in the same way as Ditko’s style. One thing at which he excels is creative and dramatic camera angles. 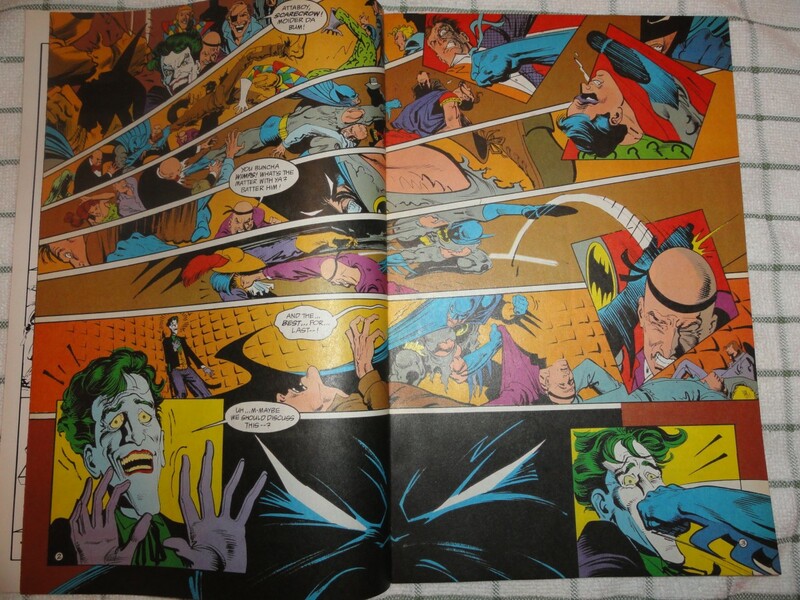 (Breyfogle would continue to experiment with such effects more boldly as time went on. A two-page spread of panels, all at a near-45-degree slant, from Shadow of the Bat #4, leaps to mind—I’ve never seen anything like it before or since.) And action! When he’s got Batman throwing kicks and punches, the force is such that it seems like his limbs are fighting to free themselves from his torso. A fuller write up here, courtesy of The Beat.